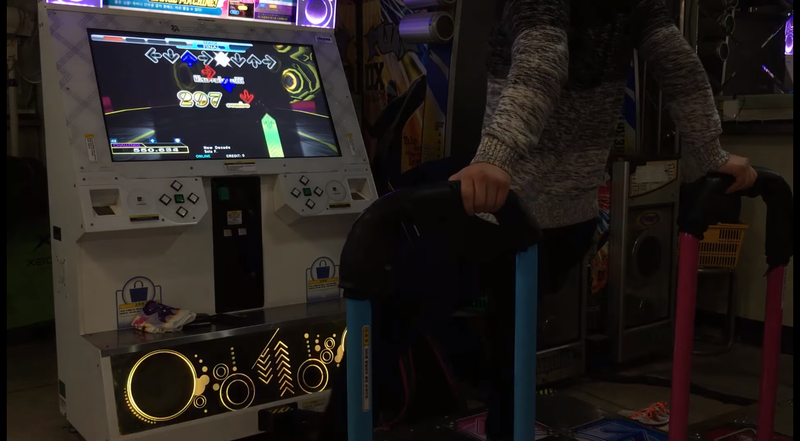 DDR (DanceDanceRevolution) is a fun and addicting game that is also very physically challenging. As players play more and get better by developing their skills, there will come a point when they start hitting walls in their skill. That’s the point when getting and staying motivated to play becomes a challenge itself. But that is not a sign to give up. Many players lose steam with their progress only to come back weeks or months later, reverting back to old habits and trying to catch up to where they were before. With the right mindset, a positive attitude, and forming a clear new approach by following these tips, you can smash your way through those walls. Whether it’s having trouble with stamina or finding it difficult to nail down a certain set of patterns, you will need to figure out what you may be doing wrong. Discover and address any weaknesses that you may have, make them your main focus and keep practicing until it is no longer a weakness. Building up all your skill sets will set a solid foundation for yourself that will benefit you in the long run. If you are lacking in the crossovers department, practice songs that have lots of crossovers. Or if you have trouble with stamina, play more dense charts that tire you out. Don’t ignore your weaknesses, they will come back to bite you. Stuck in a rut from playing one certain way all the time? Maybe you’re feeling sick of singles mode tech and your performance is suffering. Mix things up and try something new with the game. Play around with turn mods like Shuffle and visual mods like Dark, Hidden, Sudden, Brake or Wave. Better yet, play Doubles mode. Doubles is like playing an entirely new game that will give you a new set of challenges. If you primarily play with the bar, try playing without the bar to see how you fare. Try new things to stay motivated, like playing Double mode. Progress can become limiting when you have nothing to aim for. Playing just for the sake of playing will put you on the fast track to becoming bored and unmotivated. Setting both short and long-term goals will keep you on track and it will allow you to see yourself improve at the pace you want. Make sure that your goals are realistically attainable relative to your current skill level. Don’t set outlandish goals for yourself like PFCing Paranoia Revolution when you’re only just passing 12s. Learn to walk before you run! Place top 4 in a tournament. There’s really nothing more motivating than being able to see yourself improve. Last week you may have been breathing hard after MAX 300, but this week you’re consistently AAing it. Using that rate of improvement as momentum may allow you to take great strides in skill, so long as you consistently track your progress and play often. You can greatly benefit from keeping track of your scores by recording your personal bests and using them as a reference point so that you can aim to beat your old records. You can use score trackers like Zenius-I-vanisher for DanceDanceRevolution and Groovestats for In The Groove. If neither sites are to your liking, you can keep track of your scores on your own in an Excel spreadsheet or your preferred note-taking app. Use a score tracker like Zenius-I-vanisher to record your progress and as a reference to go back and beat old scores. This ties together with the previous two tips. For every session, you should have at least one concrete goal and know exactly what you want to play. Spend less time scrolling through the song wheel and more time playing. Got 14 Greats on Xepher Challenge? Aim for under 10. Need to train for stamina and endurance? Play high level charts with shorter rest times while maintaining solid posture and a minimalist technique. Know what you want to accomplish before you start, and before you know it you’ll be making huge strides with improvement. Let’s face it. Playing by yourself can get boring and lonely. When you play with a friend or a group of friends, you can all help push each other to crush your sessions and have more fun while doing it. Fire up YouTube and search for high level players playing the songs you want to work on. For those times when you are not able to play. you can take the opportunity to learn unfamiliar sections of a chart, learn proper technique and form by paying close attention to how a player moves, and even simply getting yourself hyped up to play later. You can even browse Twitch for livestreams of other dance game players and cheer them on too. If you usually go out to the arcade or visit a friend’s place to play but you don’t have much time or the opportunity to go out to play as much as you would like, it may be worth it to invest in your own home setup for convenience. You can research and find a solid home pad that works with consoles and/or PC, or you can go all out and find an arcade cabinet on eBay, Craigslist, a local auction, or the Facebook Buy/Sell group. 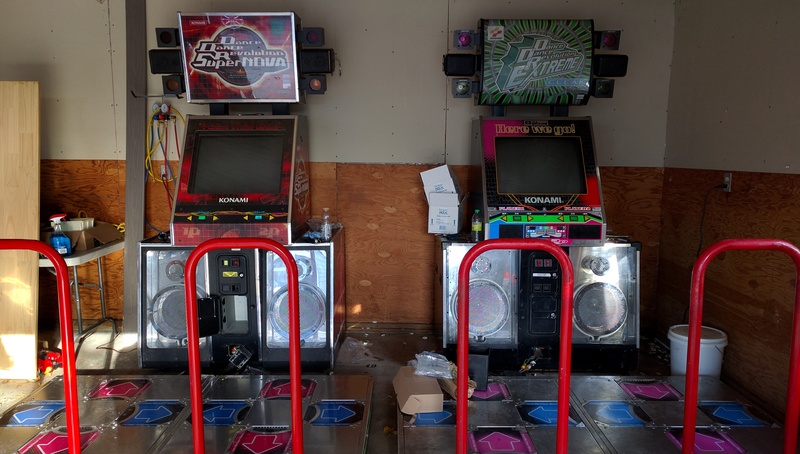 If access to DDR is scarce, bring the arcade experience to your home. Sometimes you need to take some time to step back, relax and take a break. Taking a few days off, or even up to a week to help your body and mind recover will do wonders for maintaining a sharp and focused mind so that you can crush your personal bests. Find another activity that you are interested in and focus on that for a while. But don’t take too long of a break, as that may slow down or even hinder your progress. ← Previous Previous post: Rumble In The Prairie 8 Results And More!